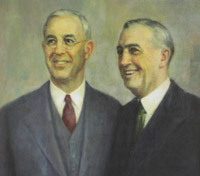 Stranahan Foundation Founders: Frank D. Stranahan and Robert A. Stranahan. The Stranahan Foundation was created in 1944 by brothers Frank D. and Robert A. Stranahan, founders of the Champion Spark Plug Company in Toledo, Ohio. Today, the Foundation is governed by a Board of Trustees comprised primarily of family members who are descendants of Frank and Robert. The Board can also include non-family members whose expertise is especially beneficial to our work. Many family members also volunteer their time to serve on various committees and participate in the Foundation’s grant making programs. The purpose of the Stranahan Foundation is to assist individuals and groups in their efforts to become more self-sufficient and contribute to the improvement of society and the environment. We believe in helping others to become independent and responsible citizens; in respect for oneself, for others, for the community and for the environment; in freedom of thought, speech, religion, and economic choices within a just and democratic society; in the courage to embrace change, and as necessary, to take the initiative to bring about positive change. The Foundation supports a multitude of important programs that fit within our five priority areas of interest. This support is made possible by the foresight of our founders and the thoughtful decision-making of our Board of Trustees, who work to ensure that all of the Foundation’s grant-funded programs reflect our values, further our mission and advance our priorities.